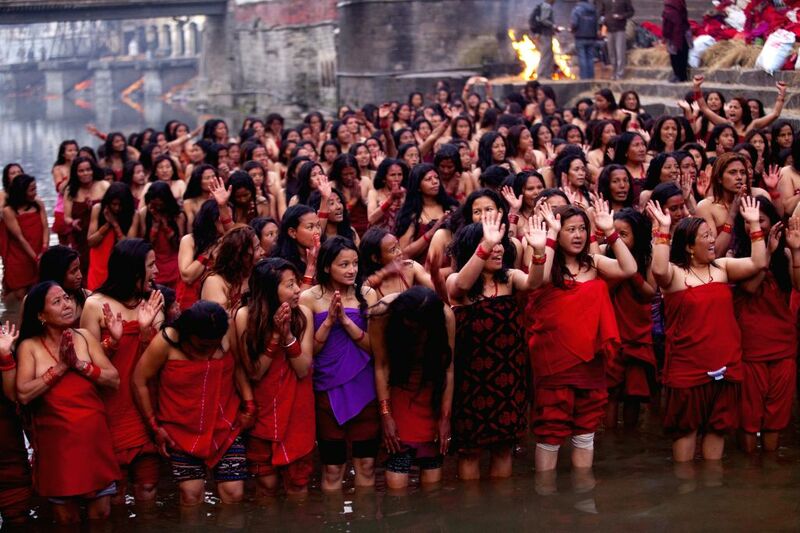 KATHMANDU, Jan. 20, 2015 - Nepalese Hindu women devotees take a holy dip in the Bagmati River during the Madhav Narayan festival at Pashupatinath in Kathmandu, Nepal, Jan. 20, 2015. 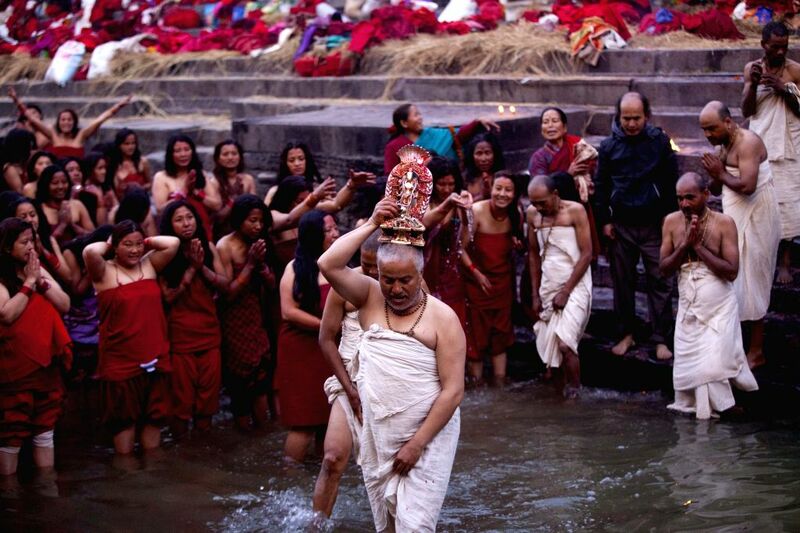 Nepalese Hindu women observe a fast and pray to Goddess Swasthani for longevity of their husbands and family prosperity during the month-long festival. 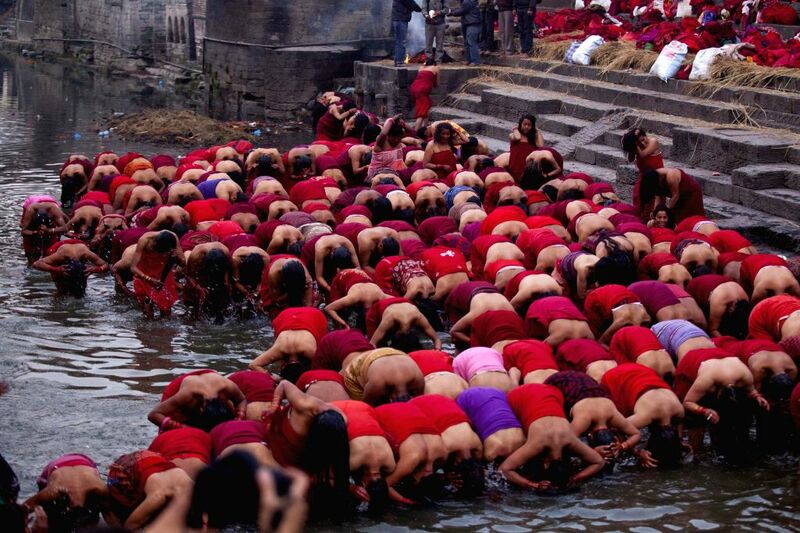 Nepalese Hindu women devotees pray before taking a holy dip in the Bagmati River during the Madhav Narayan festival at Pashupatinath in Kathmandu, Nepal, Jan. 20, 2015.